The new Oklahoma Sooners starting quarterback looked a lot like he did when he was starring at Allen a few years ago. Remember when Kyler Murray starred at Allen and carved up every 6A defense from here to Houston? That's about what it looked like Saturday when Murray's Oklahoma Sooners rolled over Lane Kiffin's Florida Atlantic, 63-14, in their season opener. You get the idea. Murray finished a tidy 9-for-11 passing for 209 yards and a pair of touchdowns. He was pulled before halftime with the Sooners up 42-0. That first clip of Murray scrambling to his left, then reversing field for a 15-yard gain might draw comparisons to early 2000s Michael Vick. 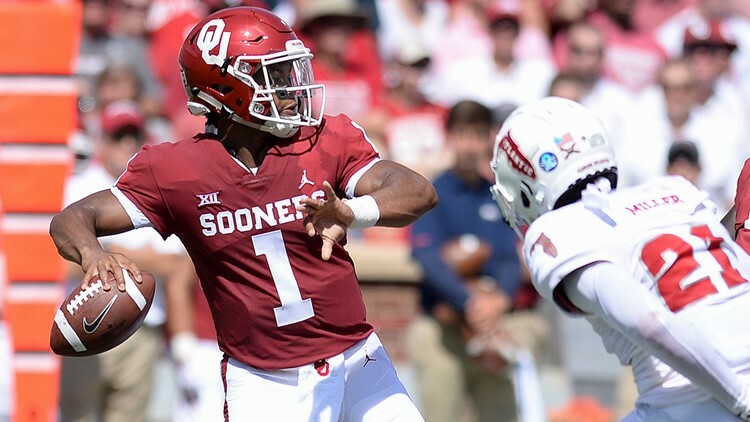 Fortunately, here in Texas we have a more accurate comparison: 2010s Kyler Murray, when he went 42-0 as a starter for Allen and rushed for nearly 1,500 yards his senior year. Did we mention he can play a little baseball, too?